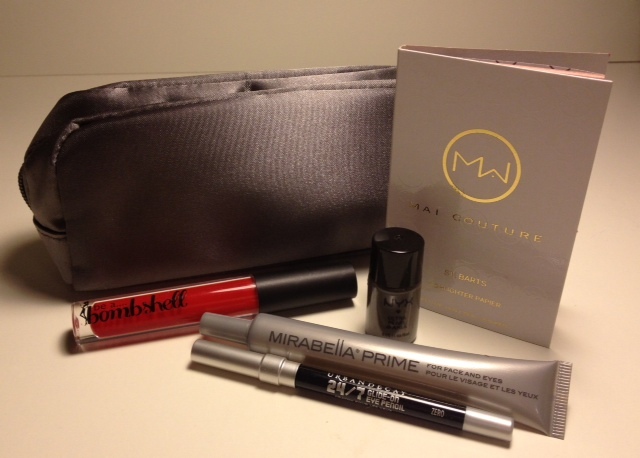 Last month, I posted a review of my first glam bag from Ipsy just for fun. It ended up being one of my most popular posts, so here are my thoughts on what they sent me for December. At first glance, I thought these were oil blotting sheets. Then I realized they were highlighter papers. Cool idea, in theory, but they turned my face orange. 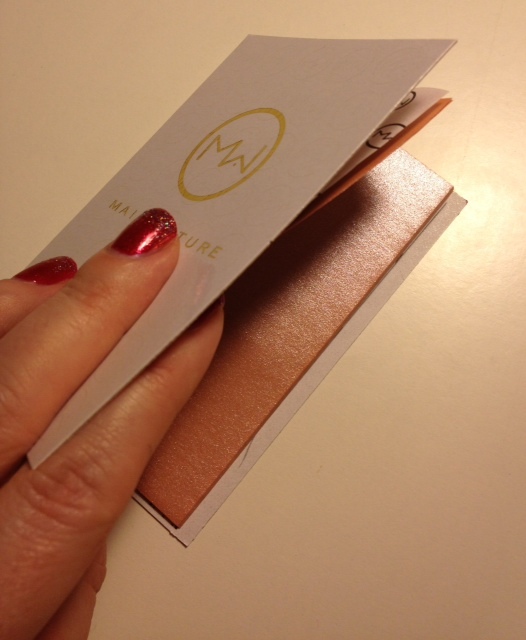 The color of the powder on these papers is more of a blush than a highlighter for my light skin tone. I wish these came in more than one shade. Bummer. I had never heard of this brand before, but I love red lip glosses, so I was excited to give this product a try. Turns out, it's fantastic. 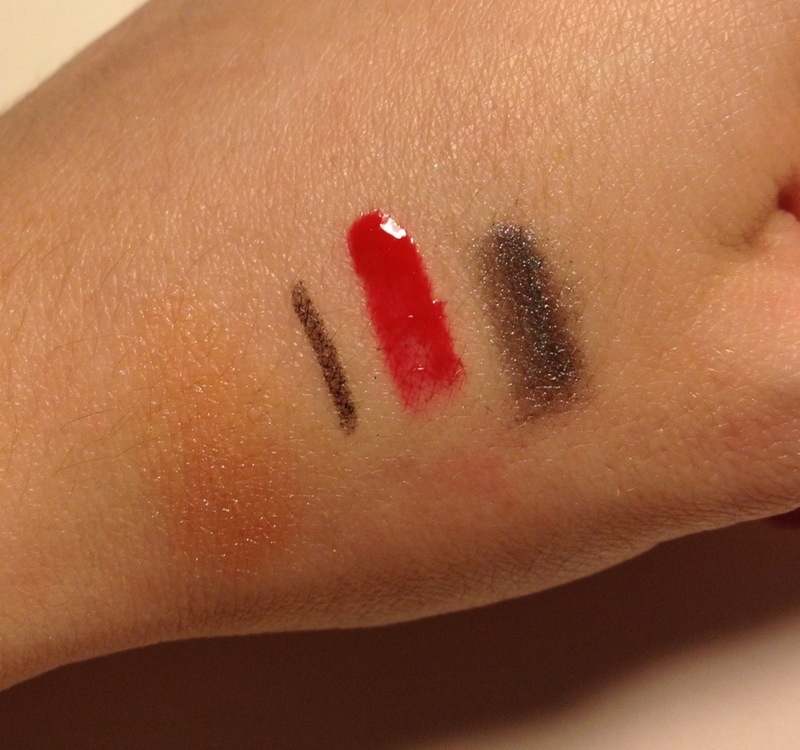 You can apply a thin layer for a sheer pop of color or apply more heavily for a high-shine red finish. It wears longer and more evenly than other red lip glosses I've tried. I've worn this several times already - both at work and for play. I've purchased this eye liner before. It glides on super smoothly and stays on forever. Pretty sure it made my day when I found out this liner was coming in my December box. 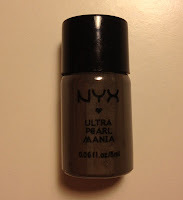 I don't typically wear liquid foundation, so this has been fun to try, but not something I'd use on a daily basis. Feels similar to the Smashbox Photo Finish primer. 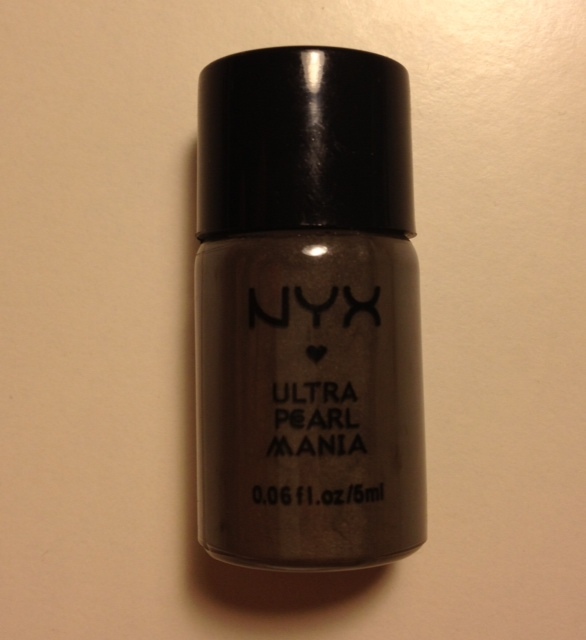 I've used it a few times on my eyelids, but I can't tell if it helps my shadow wear longer or not. On Ipsy's website, they showed this in gold. I would have much rather gotten a gold powder than this charcoal. It's messy, so I don't love it. Again, I think I may have liked it better if I tried it in a lighter color. Here's a look at what some of the colors look like on my skin. From left: highlighter (eh hem, bronzer), eye liner, lip gloss, and loose power eye shadow. Even though I didn't love all the products, the lip gloss and the eye liner are a total hit. For $10, I received about $74 worth of product. Ahhh-mazing. I would have traded the Nyx shadows. I got the pink and hated it. It's way too light for me and the fact that it's loose powder just makes it insanely messy.